Step 1 Heat the oven to 350 degrees. Spray 2 (9-inch) layer cake pans with nonstick cooking spray and dust them with flour. Step 2 Beat the eggs and sugar in a mixer at high speed until pale and frothy, 5 to 6 minutes. Turn off the mixer and add the flour, baking powder, salt, oil, wine, vanilla and lemon zest. Beat 2 minutes at high speed. Step 3Divide the batter between the pans. Bake until a toothpick inserted in the center of each comes out clean, about 40 minutes. Cool the cakes in pans on a rack for 10 minutes, then turn them out and cool completely. In Recipes-list.com we have selected the most viewed recipes from category - Desserts . Enjoy the best recipes specially selected for you! 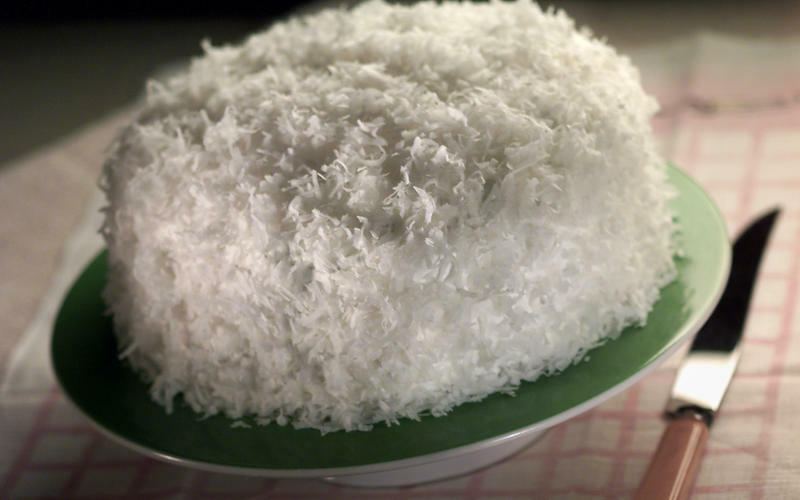 Anne Bunch's Coconut Cake is the right choice that will satisfy all your claims.